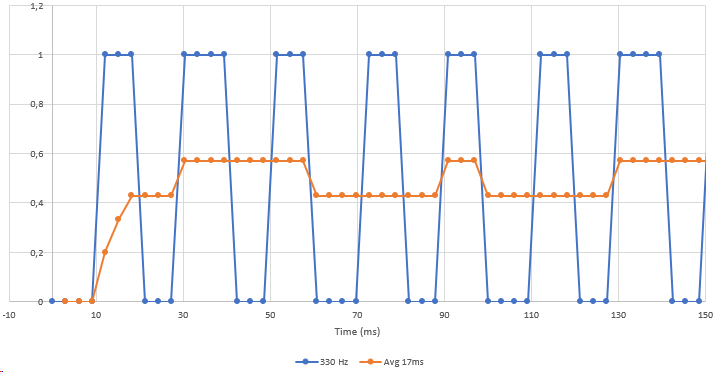 I'm using arduino Pro mini - 5V - 2kB Without signals arduino performs 16k cycles/second (most without changing anything), with a 10ms signal it runs at 14k cycles/second so it seems not a load problem. Can someone help me regarding this problem? Should I use only 6 std pwm, draw again the board, print them again, weld all components again, and test it again? PS: I can't create the SoftPWM tag for a reputation problem, can a moderator do that? The problem is not a SoftPWM limitation but a physical one. 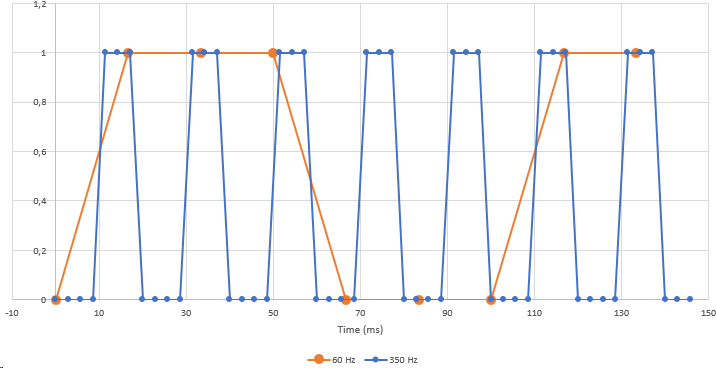 SoftPWM have a PWM cycle at 60Hz, that makes impossible to update output faster than 34mS and that explain why I see low frequency trying to change the state with every 10 ms.
Not the answer you're looking for? Browse other questions tagged library pwm or ask your own question.